Part of the reason Scotto and I started this blog was to create an online outlet for our journey in to the heart of Motorsports. For now it's a hobby, something we do on our free time and look forward to doing more of at the other times. Where this journey will take us is anyones guess, either we're sure it's going to a fun ride. 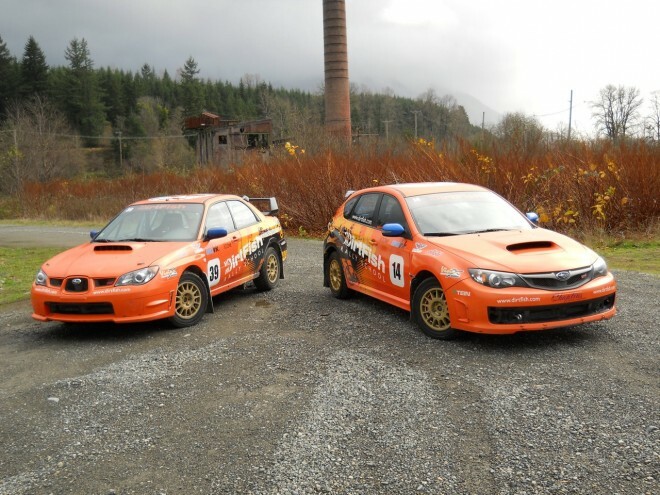 A few weeks ago Scotto was quick enough to spot a Groupon ad in Seattle for the DirtFish Rally School. We immediately jumped on the chance to get a 1/2 day rally lesson for 1/2 price (Normally $650, only $325 thanks to Groupon). This trip to Seattle was tentatively planned for months, but a hard date was never set. The second leg of the trip will be a cross country drive back to New Jersey with a 1989 Honda Prelude Si donor car. We're saving the story of the Prelude for another day, but for now check out more info on Dirt Fish on their website or like them on Facebook. They were also recently featured in Wired. Our friends over on Jalopnik also picked up the Wired article and syndicated it this morning, be sure to read the comment section they are always fun filled and informative and if you're lucky will include some lolcats. Hi guys. I work with DirtFish and it's so cool to see your passion and excitement for our program. We look forward to seeing out here. You're in for a great time. We'll be reading you blog along the way. See you soon.